A narrow vertical chasm in Priest's Nose where the band of Volcanic Ash ( Tuff ) has eroded at a faster rate than the surrounding rocks . This is the Pickard Bay Tuff , one of 3 distinct bands of tuff that can be found in this area. 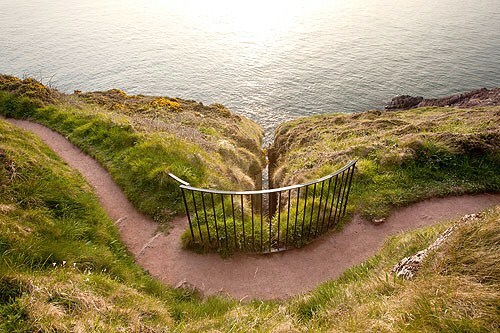 The Iron Railings are on the coast path .